This article is being reposted by readers’ request. This essay first ran in the 1990s, and was first republished on May 23, 2015 on TGP. It is reposted here again due to the upsurge in McCarthyism from “the left”, spearheaded by the usual suspects, mainly CIA-influenced liberals in the Democratic party and numerous media assets, plus their legions of clueless followers. Despite a lifetime of “shaming” the system, NOAM CHOMSKY, America’s foremost “engagé” intellectual, remains an unrepentant left anticommunist. In the United States, for over a hundred years, the ruling interests tirelessly propagated anticommunism among the populace, until it became more like a religious orthodoxy than a political analysis. During the Cold War, the anticommunist ideological framework could transform any data about existing communist societies into hostile evidence. If the Soviets refused to negotiate a point, they were intransigent and belligerent; if they appeared willing to make concessions, this was but a skillful ploy to put us off our guard. By opposing arms limitations, they would have demonstrated their aggressive intent; but when in fact they supported most armament treaties, it was because they were mendacious and manipulative. If the churches in the USSR were empty, this demonstrated that religion was suppressed; but if the churches were full, this meant the people were rejecting the regime’s atheistic ideology. If the workers went on strike (as happened on infrequent occasions), this was evidence of their alienation from the collectivist system; if they didn’t go on strike, this was because they were intimidated and lacked freedom. A scarcity of consumer goods demonstrated the failure of the economic system; an improvement in consumer supplies meant only that the leaders were attempting to placate a restive population and so maintain a firmer hold over them. If communists in the United States played an important role struggling for the rights of workers, the poor, African-Americans, women, and others, this was only their guileful way of gathering support among disfranchised groups and gaining power for themselves. How one gained power by fighting for the rights of powerless groups was never explained. What we are dealing with is a nonfalsifiable orthodoxy, so assiduously marketed by the ruling interests that it affected people across the entire political spectrum. Many on the U.S. Left have exhibited a Soviet bashing and Red baiting that matches anything on the Right in its enmity and crudity. Listen to Noam Chomsky holding forth about “left intellectuals” who try to “rise to power on the backs of mass popular movements” and “then beat the people into submission. . . . You start off as basically a Leninist who is going to be part of the Red bureaucracy. You see later that power doesn’t lie that way, and you very quickly become an ideologist of the right. . . . We’re seeing it right now in the [former] Soviet Union. The same guys who were communist thugs two years back, are now running banks and [are] enthusiastic free marketeers and praising Americans” (Z Magazine, 10/95). Chomsky’s imagery is heavily indebted to the same U.S. corporate political culture he so frequently criticizes on other issues. In his mind, the revolution was betrayed by a coterie of “communist thugs” who merely hunger for power rather than wanting the power to end hunger. In fact, the communists did not “very quickly” switch to the Right but struggled in the face of a momentous onslaught to keep Soviet socialism alive for more than seventy years. To be sure, in the Soviet Union’s waning days some, like Boris Yeltsin, crossed over to capitalist ranks, but others continued to resist free-market incursions at great cost to themselves, many meeting their deaths during Yeltsin’s violent repression of the Russian parliament in 1993. Some leftists and others fall back on the old stereotype of power-hungry Reds who pursue power for power’s sake without regard for actual social goals. If true, one wonders why, in country after country, these Reds side with the poor and powerless often at great risk and sacrifice to themselves, rather than reaping the rewards that come with serving the well-placed. 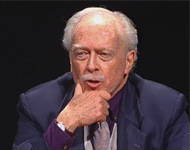 For decades, many left-leaning writers and speakers in the United States have felt obliged to establish their credibility by indulging in anticommunist and anti-Soviet genuflection, seemingly unable to give a talk or write an article or book review on whatever political subject without injecting some anti-Red sideswipe. The intent was, and still is, to distance themselves from the Marxist-Leninist Left. Adam Hochschild: Keeping his distance from the “Stalinist Left” and recommending same posture to fellow progressives. Adam Hochschild, a liberal writer and publisher, warned those on the Left who might be lackadaisical about condemning existing communist societies that they “weaken their credibility” (Guardian, 5/23/84). In other words, to be credible opponents of the cold war, we first had to join in the Cold-War condemnations of communist societies. Ronald Radosh urged that the peace movement purge itself of communists so that it not be accused of being communist (Guardian, 3/16/83). If I understand Radosh: To save ourselves from anticommunist witchhunts, we should ourselves become witchhunters. Purging the Left of communists became a longstanding practice, having injurious effects on various progressive causes. For instance, in 1949 some twelve unions were ousted from the CIO because they had Reds in their leadership. The purge reduced CIO membership by some 1.7 million and seriously weakened its recruitment drives and political clout. In the late 1940s, to avoid being “smeared” as Reds, Americans for Democratic Action (ADA), a supposedly progressive group, became one of the most vocally anticommunist organizations. The strategy did not work. ADA and others on the Left were still attacked for being communist or soft on communism by those on the Right. Then and now, many on the Left have failed to realize that those who fight for social change on behalf of the less privileged elements of society will be Red-baited by conservative elites whether they are communists or not. For ruling interests, it makes little difference whether their wealth and power is challenged by “communist subversives” or “loyal American liberals.” All are lumped together as more or less equally abhorrent. Even when attacking the Right, the left critics cannot pass up an opportunity to flash their anticommunist credentials. So Mark Green writes in a criticism of President Ronald Reagan that “when presented with a situation that challenges his conservative catechism, like an unyielding Marxist-Leninist, [Reagan] will change not his mind but the facts.” While professing a dedication to fighting dogmatism “both of the Right and Left,” individuals who perform such de rigueur genuflections reinforce the anticommunist dogma. Red-baiting leftists contributed their share to the climate of hostility that has given U.S. leaders such a free hand in waging hot and cold wars against communist countries and which even today makes a progressive or even liberal agenda difficult to promote. A prototypic Red-basher who pretended to be on the Left was George Orwell. In the middle of World War II, as the Soviet Union was fighting for its life against the Nazi invaders at Stalingrad, Orwell announced that a “willingness to criticize Russia and Stalin is the test of intellectual honesty. It is the only thing that from a literary intellectual’s point of view is really dangerous” (Monthly Review, 5/83). Safely ensconced within a virulently anticommunist society, Orwell (with Orwellian doublethink) characterized the condemnation of communism as a lonely courageous act of defiance. Today, his ideological progeny are still at it, offering themselves as intrepid left critics of the Left, waging a valiant struggle against imaginary Marxist-Leninist-Stalinist hordes. Sorely lacking within the U.S. Left is any rational evaluation of the Soviet Union, a nation that endured a protracted civil war and a multinational foreign invasion in the very first years of its existence, and that two decades later threw back and destroyed the Nazi beast at enormous cost to itself. In the three decades after the Bolshevik revolution, the Soviets made industrial advances equal to what capitalism took a century to accomplish–while feeding and schooling their children rather than working them fourteen hours a day as capitalist industrialists did and still do in many parts of the world. And the Soviet Union, along with Bulgaria, the German Democratic Republic, and Cuba provided vital assistance to national liberation movements in countries around the world, including Nelson Mandela’s African National Congress in South Africa. Left anticommunists remained studiously unimpressed by the dramatic gains won by masses of previously impoverished people under communism. Some were even scornful of such accomplishments. I recall how in Burlington Vermont, in 1971, the noted anticommunist anarchist, Murray Bookchin, derisively referred to my concern for “the poor little children who got fed under communism” (his words). Those of us who refused to join in the Soviet bashing were branded by left anticommunists as “Soviet apologists” and “Stalinists,” even if we disliked Stalin and his autocratic system of rule and believed there were things seriously wrong with existing Soviet society. Our real sin was that unlike many on the Left we refused to uncritically swallow U.S. media propaganda about communist societies. Instead, we maintained that, aside from the well-publicized deficiencies and injustices, there were positive features about existing communist systems that were worth preserving, that improved the lives of hundreds of millions of people in meaningful and humanizing ways. This claim had a decidedly unsettling effect on left anticommunists who themselves could not utter a positive word about any communist society (except possibly Cuba) and could not lend a tolerant or even courteous ear to anyone who did. Saturated by anticommunist orthodoxy, most U.S. leftists have practiced a left McCarthyism against people who did have something positive to say about existing communism, excluding them from participation in conferences, advisory boards, political endorsements, and left publications. Like conservatives, left anticommunists tolerated nothing less than a blanket condemnation of the Soviet Union as a Stalinist monstrosity and a Leninist moral aberration. That many U.S. leftists have scant familiarity with Lenin’s writings and political work does not prevent them from slinging the “Leninist” label. 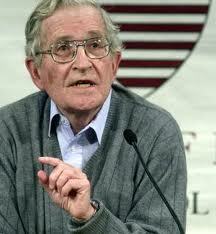 Noam Chomsky, who is an inexhaustible fount of anticommunist caricatures, offers this comment about Leninism: “Western and also Third World intellectuals were attracted to the Bolshevik counterrevolution [sic] because Leninism is, after all, a doctrine that says that the radical intelligentsia have a right to take state power and to run their countries by force, and that is an idea which is rather appealing to intellectuals.” Here Chomsky fashions an image of power-hungry intellectuals to go along with his cartoon image of power-hungry Leninists, villains seeking not the revolutionary means to fight injustice but power for power’s sake. When it comes to Red-bashing, some of the best and brightest on the Left sound not much better than the worst on the Right. At the time of the 1996 terror bombing in Oklahoma City, I heard a radio commentator announce: “Lenin said that the purpose of terror is to terrorize.” U.S. media commentators have repeatedly quoted Lenin in that misleading manner. In fact, his statement was disapproving of terrorism. He polemicized against isolated terrorist acts which do nothing but create terror among the populace, invite repression, and isolate the revolutionary movement from the masses. Far from being the totalitarian, tight-circled conspirator, Lenin urged the building of broad coalitions and mass organizations, encompassing people who were at different levels of political development. He advocated whatever diverse means were needed to advance the class struggle, including participation in parliamentary elections and existing trade unions. To be sure, the working class, like any mass group, needed organization and leadership to wage a successful revolutionary struggle, which was the role of a vanguard party, but that did not mean the proletarian revolution could be fought and won by putschists or terrorists. Lenin constantly dealt with the problem of avoiding the two extremes of liberal bourgeois opportunism and ultra-left adventurism. Yet he himself is repeatedly identified as an ultra-left putschist by mainstream journalists and some on the Left. [Notably Chris Hedges, accused him often of “highjacking the revolution”, whatever that means.—Eds) Whether Lenin’s approach to revolution is desirable or even relevant today is a question that warrants critical examination. But a useful evaluation is not likely to come from people who misrepresent his theory and practice. The upheavals in Eastern Europe did not constitute a defeat for socialism because socialism never existed in those countries, according to some U.S. leftists. They say that the communist states offered nothing more than bureaucratic, one-party “state capitalism” or some such thing. Whether we call the former communist countries “socialist” is a matter of definition. Suffice it to say, they constituted something different from what existed in the profit-driven capitalist world–as the capitalists themselves were not slow to recognize. The “lavish life” enjoyed by East Germany’s party leaders, as widely publicized in the U.S. press, included a $725 yearly allowance in hard currency, and housing in an exclusive settlement on the outskirts of Berlin that sported a sauna, an indoor pool, and a fitness center shared by all the residents. They also could shop in stores that carried Western goods such as bananas, jeans, and Japanese electronics. The U.S. press never pointed out that ordinary East Germans had access to public pools and gyms and could buy jeans and electronics (though usually not of the imported variety). Nor was the “lavish” consumption enjoyed by East German leaders contrasted to the truly opulent life style enjoyed by the Western plutocracy. Second, in communist countries, productive forces were not organized for capital gain and private enrichment; public ownership of the means of production supplanted private ownership. Individuals could not hire other people and accumulate great personal wealth from their labor. Again, compared to Western standards, differences in earnings and savings among the populace were generally modest. The income spread between highest and lowest earners in the Soviet Union was about five to one. In the United States, the spread in yearly income between the top multibillionaires and the working poor is more like 10,000 to 1. Third, priority was placed on human services. Though life under communism left a lot to be desired and the services themselves were rarely the best, communist countries did guarantee their citizens some minimal standard of economic survival and security, including guaranteed education, employment, housing, and medical assistance. Fourth, communist countries did not pursue the capital penetration of other countries. Lacking a profit motive as their motor force and therefore having no need to constantly find new investment opportunities, they did not expropriate the lands, labor, markets, and natural resources of weaker nations, that is, they did not practice economic imperialism. The Soviet Union conducted trade and aid relations on terms that generally were favorable to the Eastern European nations and Mongolia, Cuba, and India. All of the above were organizing principles for every communist system to one degree or another. None of the above apply to free market countries like Honduras, Guatemala, Thailand, South Korea, Chile, Indonesia, Zaire, Germany, or the United States. But a real socialism, it is argued, would be controlled by the workers themselves through direct participation instead of being run by Leninists, Stalinists, Castroites, or other ill-willed, power-hungry, bureaucratic, cabals of evil men who betray revolutions. Unfortunately, this “pure socialism” view is ahistorical and nonfalsifiable; it cannot be tested against the actualities of history. It compares an ideal against an imperfect reality, and the reality comes off a poor second. It imagines what socialism would be like in a world far better than this one, where no strong state structure or security force is required, where none of the value produced by workers needs to be expropriated to rebuild society and defend it from invasion and internal sabotage. The pure socialists’ ideological anticipations remain untainted by existing practice. They do not explain how the manifold functions of a revolutionary society would be organized, how external attack and internal sabotage would be thwarted, how bureaucracy would be avoided, scarce resources allocated, policy differences settled, priorities set, and production and distribution conducted. Instead, they offer vague statements about how the workers themselves will directly own and control the means of production and will arrive at their own solutions through creative struggle. No surprise then that the pure socialists support every revolution except the ones that succeed. The pure socialists had a vision of a new society that would create and be created by new people, a society so transformed in its fundamentals as to leave little room for wrongful acts, corruption, and criminal abuses of state power. There would be no bureaucracy or self-interested coteries, no ruthless conflicts or hurtful decisions. When the reality proves different and more difficult, some on the Left proceed to condemn the real thing and announce that they “feel betrayed” by this or that revolution. The pure socialists regularly blame the Left itself for every defeat it suffers. Their second-guessing is endless. So we hear that revolutionary struggles fail because their leaders wait too long or act too soon, are too timid or too impulsive, too stubborn or too easily swayed. We hear that revolutionary leaders are compromising or adventuristic, bureaucratic or opportunistic, rigidly organized or insufficiently organized, undemocratic or failing to provide strong leadership. But always the leaders fail because they do not put their trust in the “direct actions” of the workers, who apparently would withstand and overcome every adversity if only given the kind of leadership available from the left critic’s own groupuscule. Unfortunately, the critics seem unable to apply their own leadership genius to producing a successful revolutionary movement in their own country. It occurs to me that when people as smart, different, dedicated and heroic as Lenin, Mao, Fidel Castro, Daniel Ortega, Ho Chi Minh and Robert Mugabe–and the millions of heroic people who followed and fought with them–all end up more or less in the same place, then something bigger is at work than who made what decision at what meeting. Or even what size houses they went home to after the meeting. . . .
For a people’s revolution to survive, it must seize state power and use it to (a) break the stranglehold exercised by the owning class over the society’s institutions and resources, and (b) withstand the reactionary counterattack that is sure to come. The internal and external dangers a revolution faces necessitate a centralized state power that is not particularly to anyone’s liking, not in Soviet Russia in 1917, nor in Sandinista Nicaragua in 1980. Decentralized parochial autonomy is the graveyard of insurgency–which may be one reason why there has never been a successful anarcho-syndicalist revolution. Ideally, it would be a fine thing to have only local, self-directed, worker participation, with minimal bureaucracy, police, and military. This probably would be the development of socialism, were socialism ever allowed to develop unhindered by counterrevolutionary subversion and attack. One might recall how, in 1918-20, fourteen capitalist nations, including the United States, invaded Soviet Russia in a bloody but unsuccessful attempt to overthrow the revolutionary Bolshevik government. The years of foreign invasion and civil war did much to intensify the Bolsheviks’ siege psychology with its commitment to lockstep party unity and a repressive security apparatus. Thus, in May 1921, the same Lenin who had encouraged the practice of internal party democracy and struggled against Trotsky in order to give the trade unions a greater measure of autonomy, now called for an end to the Workers’ Opposition and other factional groups within the party. “The time has come,” he told an enthusiastically concurring Tenth Party Congress, “to put an end to opposition, to put a lid on it: we have had enough opposition.” Open disputes and conflicting tendencies within and without the party, the communists concluded, created an appearance of division and weakness that invited attack by formidable foes. Only a month earlier, in April 1921, Lenin had called for more worker representation on the party’s Central Committee. In short, he had become not anti-worker but anti-opposition. Here was a social revolution–like every other–that was not allowed to develop its political and material life in an unhindered way. By the late 1920s, the Soviets faced the choice of (a) moving in a still more centralized direction with a command economy and forced agrarian collectivization and full-speed industrialization under a commandist, autocratic party leadership, the road taken by Stalin, or (b) moving in a liberalized direction, allowing more political diversity, more autonomy for labor unions and other organizations, more open debate and criticism, greater autonomy among the various Soviet republics, a sector of privately owned small businesses, independent agricultural development by the peasantry, greater emphasis on consumer goods, and less effort given to the kind of capital accumulation needed to build a strong military-industrial base. Stalin’s prophecy that the Soviet Union had only ten years to do what the British had done in a century proved correct. When the Nazis invaded in 1941, that same industrial base, safely ensconced thousands of miles from the front, produced the weapons of war that eventually turned the tide. The cost of this survival included 22 million Soviets who perished in the war and immeasurable devastation and suffering, the effects of which would distort Soviet society for decades afterward. All this is not to say that everything Stalin did was of historical necessity. The exigencies of revolutionary survival did not “make inevitable” the heartless execution of hundreds of Old Bolshevik leaders, the personality cult of a supreme leader who claimed every revolutionary gain as his own achievement, the suppression of party political life through terror, the eventual silencing of debate regarding the pace of industrialization and collectivization, the ideological regulation of all intellectual and cultural life, and the mass deportations of “suspect” nationalities. The transforming effects of counterrevolutionary attack have been felt in other countries. A Sandinista military officer I met in Vienna in 1986 noted that Nicaraguans were “not a warrior people” but they had to learn to fight because they faced a destructive, U.S.-sponsored mercenary war. She bemoaned the fact that war and embargo forced her country to postpone much of its socio-economic agenda. As with Nicaragua, so with Mozambique, Angola and numerous other countries in which U.S.-financed mercenary forces destroyed farmlands, villages, health centers, and power stations, while killing or starving hundreds of thousands–the revolutionary baby was strangled in its crib or mercilessly bled beyond recognition. This reality ought to earn at least as much recognition as the suppression of dissidents in this or that revolutionary society. Richard Lichtman, an otherwise capable theorist and activist, was among those on the Marxian left who applauded the downfall of the Eastern bloc nations and the USSR itself. In fact, the capitalist restoration in Eastern Europe seriously weakened the numerous Third World liberation struggles that had received aid from the Soviet Union and brought a whole new crop of right-wing governments into existence, ones that now worked hand-in-glove with U.S. global counterrevolutionaries around the globe. In addition, the overthrow of communism gave the green light to the unbridled exploitative impulses of Western corporate interests. No longer needing to convince workers that they live better than their counterparts in Russia, no longer restrained by a competing system, the corporate class is rolling back the many gains that working people have won over the years. Now that the free market, in its meanest form, is emerging triumphant in the East, so will it prevail in the West. “Capitalism with a human face” is being replaced by “capitalism in your face.” As Richard Levins put it, “So in the new exuberant aggressiveness of world capitalism we see what communists and their allies had held at bay” (Monthly Review, 9/96). Having never understood the role that existing communist powers played in tempering the worst impulses of Western capitalism, and having perceived communism as nothing but an unmitigated evil, the left anticommunists did not anticipate the losses that were to come. Some of them still don’t get it. 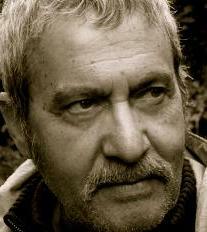 Michael Parenti is an award-winning, internationally known American political scientist, historian, and culture critic who has been writing on a wide range of both scholarly and popular subjects for over forty years. He has taught at several universities and colleges and has been a frequent guest lecturer before campus and community audiences. In addition, he has played an activist role in political struggles, most notably various anti-war movements. Included among the subjects he addresses are American politics, world affairs, news and entertainment media, ideology, historiography, ethnicity, and religion. I agree with about 90% of this article wholeheartedly. Probably the best part of it is the way that Parenti exposes how American progressives can’t shake the habit of proving to others their ‘respectability’ by engaging in Red-bashing, and how this has done irreparable damage to the American Left as a whole. Now the right merely needs to accuse liberals of being ‘socialist’ and large sections of this country will go into fits of hysteria. It is also refreshing that Parenti takes on “pure socialists” who simply dismiss the revolutions in Russia, China, Vietnam, and Cuba in their entirety and basically concede to the capitalists that socialism can never work in practice. One cannot defend everything that happpened in those revolutions, as is the case with any large historical event, but there are plenty of parts of our history that communists can and should defend, the positive gains that communists made in those countries. Having said that, I think Parenti (in this essay and in ‘Blackshirts and Reds’) is pretty soft on Stalin. His defamatory attack on George Orwell, calling him a ‘red basher who pretended to be on the left’, is quite insulting given that Orwell fought in a Trotskyist battalion in Spain against fascism and was himself a socialist. This slander mirrors Stalinist propaganda. In my opinion “antistalinism” is a tendency that is morally bankrupt. It was a banner for the counterrevolution at some stage. It did its job quite well. What is also important that “antistalinism” sneaked all sorts of revisionist and reactionary ideas into the movement (eg. denial of necessity of collectivization of agriculture, denial of necessity of the fight with opportunism etc). Isn’t “antistalinism” a part of exactly the same mechanism as described above? E.g. if one looks through the history of ruling workers’ parties in Peoples Democracies in Europe – it can be easily seen that the restoration of capitalism in Eastern Europe was made under the sign of “antistalinism”, “fight with Stalinist bureaucracy”, “fight with overcentralisation” etc. And the result was the complete victory of counterrevolution and millions of people pushed into slavery and poverty or forced to emigrate and work as cheap labor. “Antistalinism” had become a banner for all sorts of opportunists and class enemies within the socialist system – that eventually betrayed its people. Now they call themselves “postcommunists” and they are practically indistinguishable from liberals. Concerning Orwell – it is well known that he was on the pay-list of British intelligence. He was simply a traitor. Parenti’s view could be described as a form of class collaboration. that’s because he’s churning out apologetics for the dominating and exploiting classes of the so-called “Communist” countries. Not to mention Animal Farm is pretty much “Communism in practice results in Stalinism,” which is the basic bourgeois narrative. He was basically a proto-Christopher Hitchens. You can admire the 1930’s Orwell, but not so much the 1940’s one. Also FWIW Orwell himself said that when he entered the POUM militias he was unaware as to the politics of all the various groups. As for fighting against fascism in Spain, Willy Brandt, who later became Chancellor of West Germany, fought too. Parenti’s view could be described as a form of class collaboration. that’s because he’s churning out apologetics for the dominating and exploiting classes of the socalled “Communist” countries. What a stupid analysis. He’s defending their systems against bourgeois defamation and the all too willing “leftist” collaborators in imperialism against them. “Class collaboration” is the last thing Parenti is doing, you just don’t like him because he doesn’t take pot shots at “Stalinism” whenever the opportunity presents itself. As far as I know it is understood that the the administration/ party cadres in socialist (here called “communist”) countries in the socialized, central planned economy DO NOT constitute a social class. They form sort of stratas – groups of influence etc. It is not scientifically justified to talk about industrial cadres/ party elites in terms of a social classes, mainly because the class analysis refers to the relation of possession towards means of production. Neither party elites nor technical cadres were owners of the socialized economy – they could not use it for its private purpose. And the surplus value was used for the socialist – not capitalist accumulation. So it is nonsense to talk about “class collaboration” with party cadres from socialist states – because party cadres/administration were not a class. Compare with white collar workers in capitalism – they are not the same as bourgeoisie. “Class collaboration” is the last thing Parenti is doing, you just don’t like him because he doesn’t take pot shots at “Stalinism” whenever the opportunity presents itself. Agree. “Stalinism” is the negative, meaningless term developed by the bourgeoisie in order to discredit A whole worker’s movement and to impose on the working class and other progressive strata – an idea that there is no alternative to the capitalist exploitation and destruction. Even when am “antistalinist” leftist rejects “stalinism”, he will be attacked by the bourgeoisie until his positions become entirely harmless and opportunistic. The term “pure socialist” is confusing. The correct term would be utopian. The main difference between Marxist-Leninism (ML) and the anti-communist left is ML theories are based on science whereas the anti-communist lefts’ theories (Trotskyism, Anarchism, Social Democracy, Democratic Socialism, Chomskyism, etc) are based on various utopian dreams which all amount to the same result – reaction. Here we have to be careful to point out that when we speak of Marxism-Leninism we are not talking about Marxist-Leninist revisionism. The ML revisionists are the people who got control of the Central Committee of the CPUSSR in 1955 and turned the USSR slowly back to capitalism. They called themselves Marxist-Leninists for the purpose of deceiving the workers.